It’s another tenuously titled month in the Lego community’s calendar, but as is often the way with these things, it’s sci-fi and thus TLCB staff are completely baffled by it. 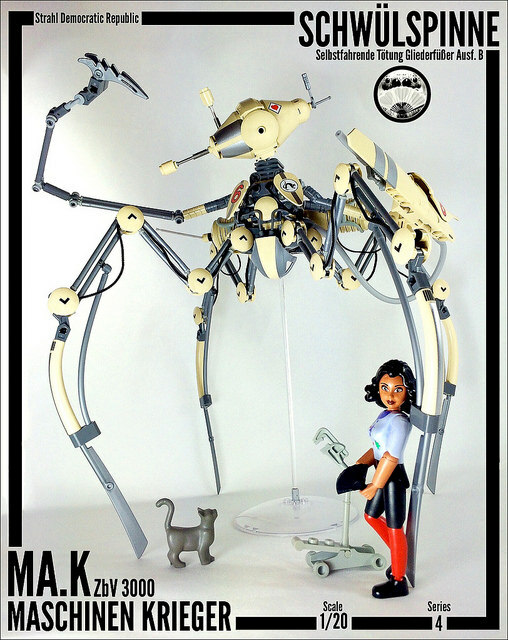 Whatever Ma.Ktober is, this entry into the annual bandwagon by D-Town Cracka is a rather lovely build, and you can see more on Flickr at the link above. 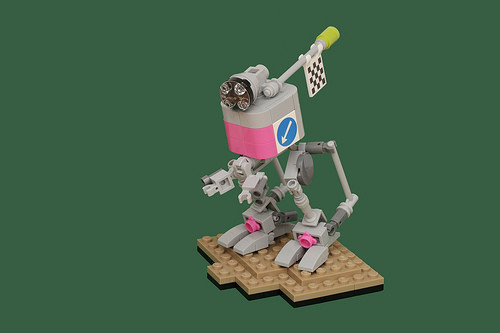 We have no idea what this sweet little bi-ped mech is for or is doing, but we like it. The Elves don’t it seems, seeing how much they tried to bully the lucky Elf that found it for it being pink, but that Elf received a pink Smartie to munch on so it’s pretty happy. You can see more of whatever this is at Pascal’s photostream here. We’ve almost come to the end of Ma.Ktober without featuring any of this year’s builds. This is possibly due neither us nor the Elves really understanding what it’s all about. Time to rectify the situation, with this build from :VolumeX:. 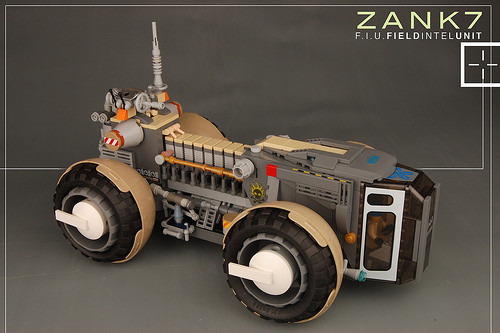 His Zank7-FIU has some of the strangest wheels that the Elves have seen but this has been a trend with their recent sci-fi discoveries. A neat bit of design keeps the trim on the hubs horizontal as the Zank rolls along. Click this link to Flickr to have a closer look. Here at TLCB Towers we have a similar attitude to both the Elves and Ma.Ktober. We don’t understand how they work but we like the results. 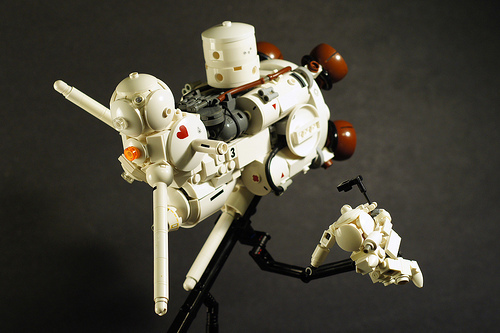 An important part of the Maschinen Krieger style is smooth, rounded armour, which can be very difficult to make from Lego bricks. Tim Zarki has done a super job of the Ferkel spacecraft, using a variety of curved components. The sphere at the front of the ship is a particularly interesting bit of building technique and the ship is accompanied by a neat spaceborne SAFS. You can navigate to Tim’s photos Flickr and his blog by clicking this link.